at Etz Chaim shul, Givat Sharet. This is Magen's first Awareness event in Hebrew. 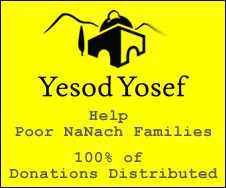 We are seeking volunteers to help us publicize this event by putting up posters in different areas of Bet Shemesh / RBS. If you are available to help with this, in any way, please respond. Any help you provide us is greatly appreciated!